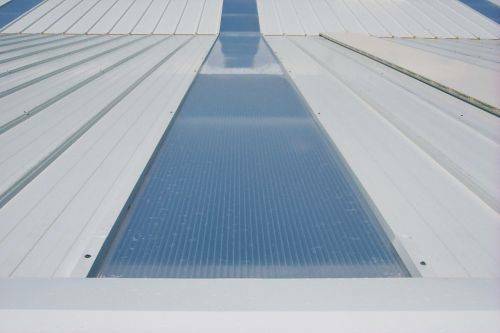 Polycarbonate allows to create fixed skylights to address lighting problems, affording UV-ray protection and transparency to light. Resistant to shocks, temperature changes and hail. Class 1 self-extinguishing, it assures good thermal insulation and easy installation. 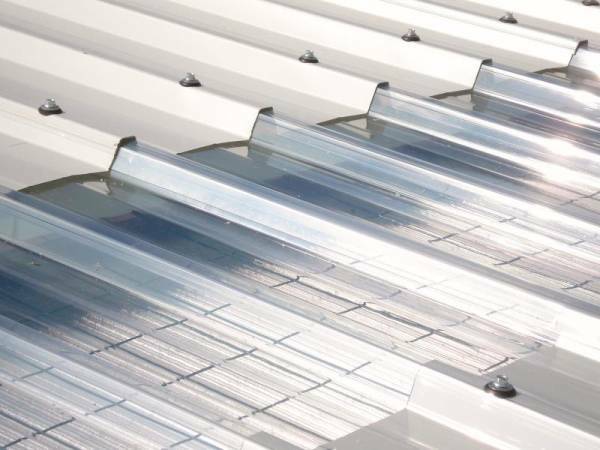 Five-corrugation alveolar extruded polycarbonate sheets to assure sturdy roofing. ISOLUCE 5G overlaps roofing panels laterally. It is available in the neutral and opalescent version. Thanks to the possibility of frontally overlapping sheets, it can be used also in case of pitches longer than 10 metres. It is advisable to carry out hot sealing at the edges in order to preserve the sheets’ transparency for a long time. Alveolar extruded polycarbonate sheet. ISOLUCE LISCIO allows correct functioning of PC sheet thermal dilation by exploiting suitable sheet metal work devised for this type of product. It is advisable to provide zinc-coated and prepainted, 8/10mm-thick supporting steel sheet metal work and edge taping in order to preserve sheet transparency for a long time. 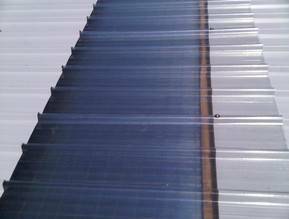 Co-extruded polycarbonate sheet. 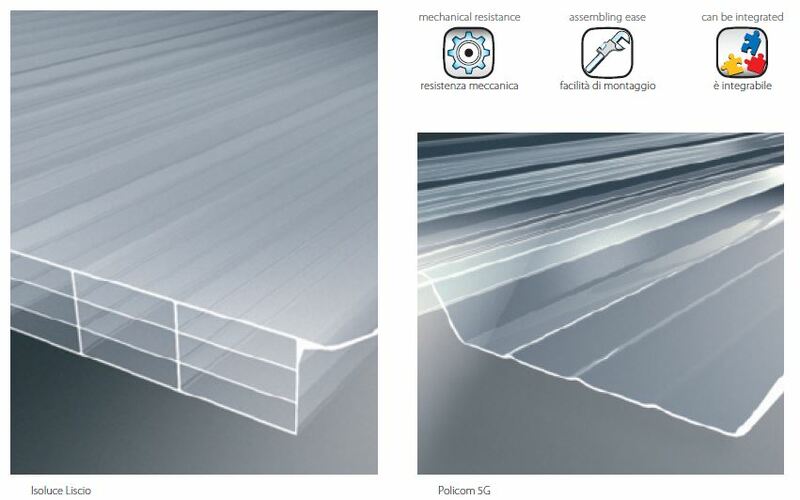 POLICOM 5G sheets are transparent and protected from U.V. rays, reversing the negative action of the elements; ideal to create mid-pitch skylights, and for overlapping both above and below the roofing pitch. Note: Polycarbonate has linear thermal dilation of 6.7 x 10-5 mm/mm°C.